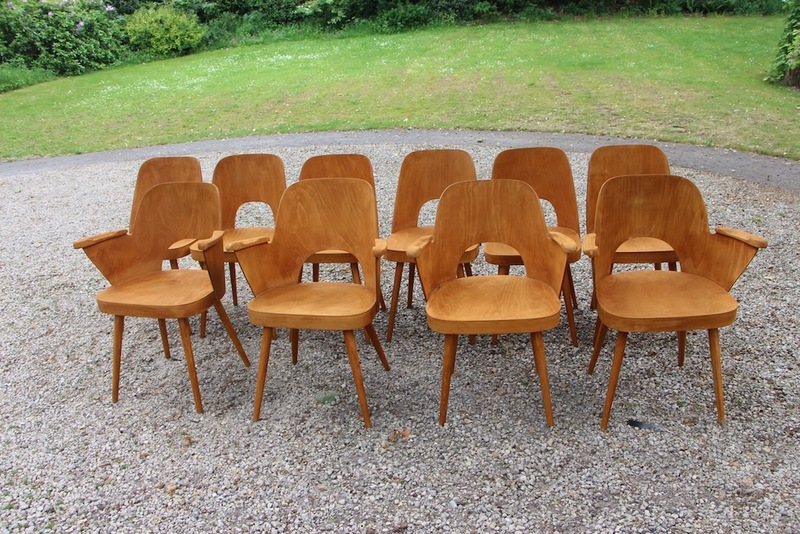 Stunning set of 10 Oswald Haerdtl chairs for Ton. 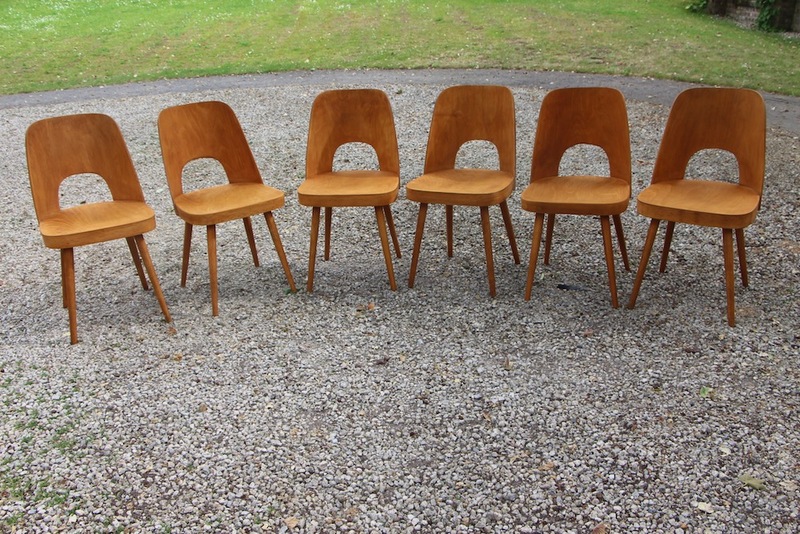 6 chairs and 4 with armrests! 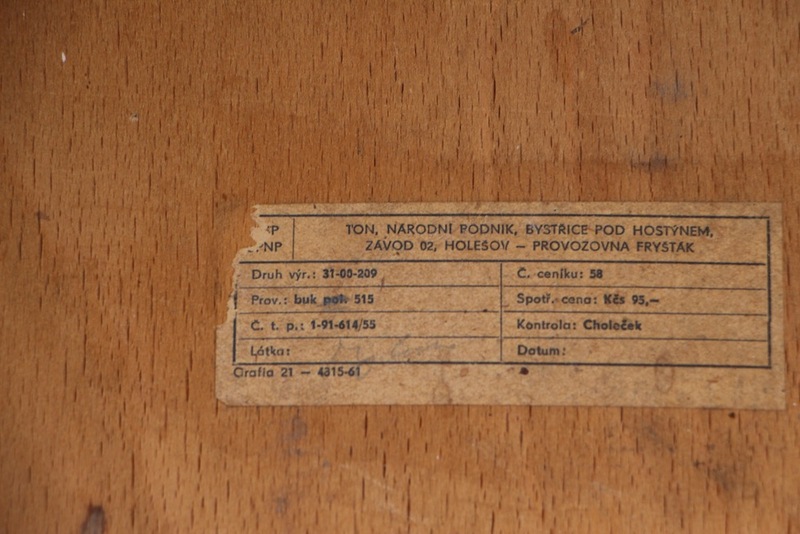 The ones with armrests are higly searched for because rarely found. This is a unique set in a perfect condition. 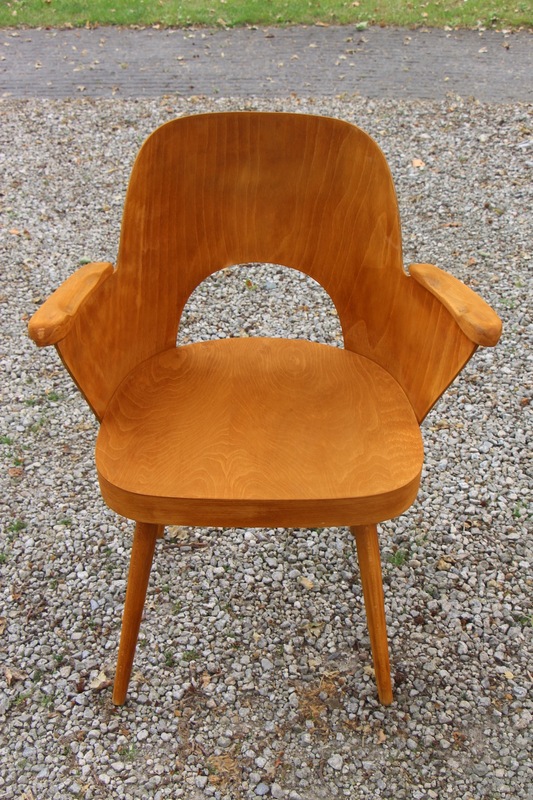 Extremely chic and not often seen in interiors. 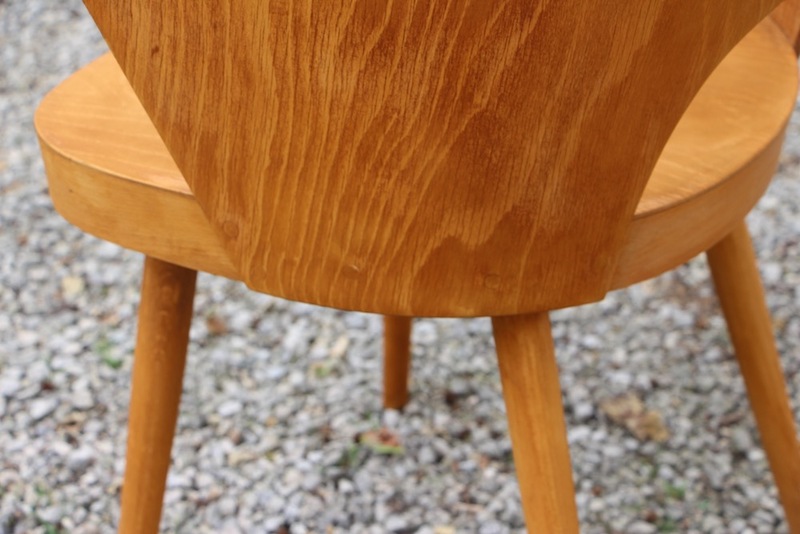 They are classic and at the same time very eyecatching around a table. 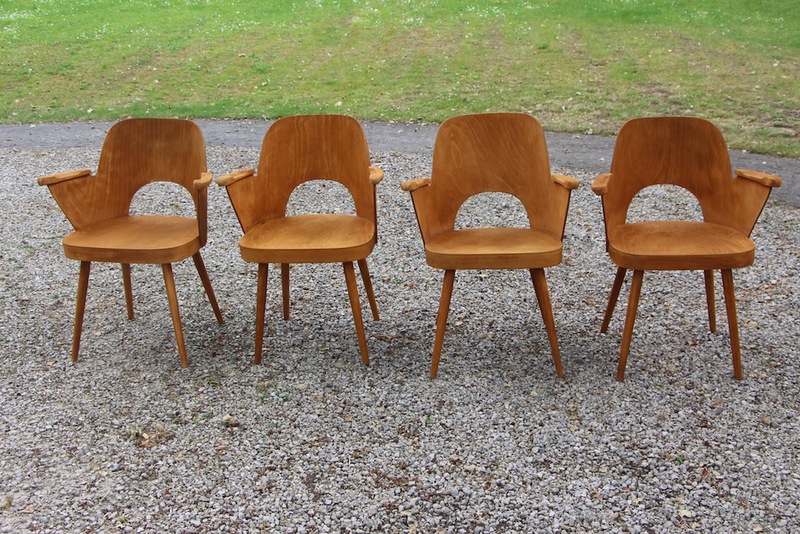 I have sold these once and my client put them around a Saarinen table by Knoll, a white marble one. It had a wouaw effect. 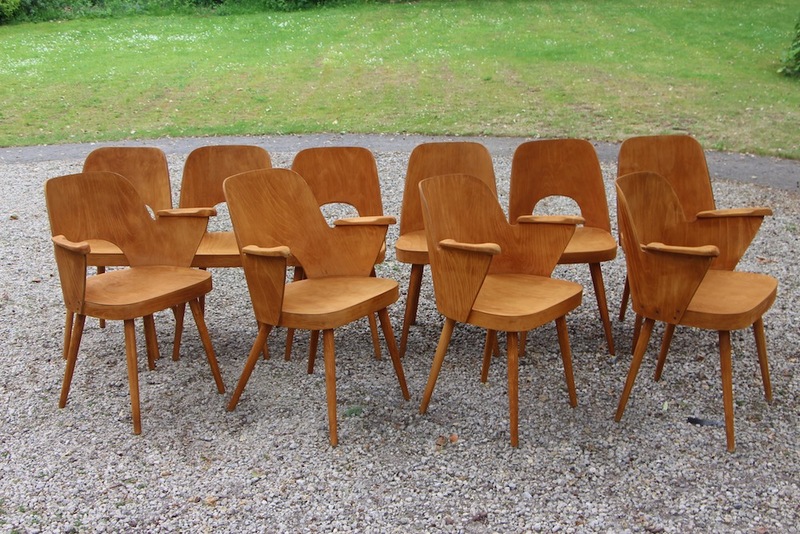 They're warm, classy, sturdy, fancy...And this wood with a different shade on each chair, just great! Some of them still have the original sticker.